Of the more than 3000 counties/parishes/county-equivalents in the United States, Jefferson Davis Parish ranks number 11 in the proportion of Francophones. Jennings is the parish seat. It is twinned with three French-speaking cities: Fléron, Belgium; Bernay, Normandy,France; and Baâlons, Ardennes, France. Some of the earliest settlers of Jennings came from the Ardennes region of northern France and they put on their tombstones in the Jennings Calvary Cemetery the names of the villages in France where they were born. Many other Francophones of Acadian, Cajun or Creole origin also moved to Jennings and Jeff Davis Parish. The majority of people in the parish have French ancestry. Many people have names of French or Acadian origin. Jennings has had numerous mayors and city councilmen of French origin. Jennings has a park named Ardennes Park, adjacent to City Hall, with a large fleur-de-lis on the ground, which recalls the French ancestry of some of the earliest settlers and the Houssiere-Latreille family who donated the land for the park. There is also a Houssiere Park along Bayou Nezpique just outside of Jennings. AM was, during that time, the only all-French radio station in the United States. Jefferson Davis Parish produced two legendary French-language disk jockeys, Jerry Dugas and Tee-Mick Abed. During the more than 50 year broadcasting career of Jerry Dugas, which ended in 2002, the majority of the advertising on his program, “Allons Danser !” was in Cajun French. The Internet radio station CajunMusicRadio.com, which is based in Jennings, broadcasts only music sung in Cajun French. RadioLouisiane.com is also based in Jennings and broadcasts only in French, Cajun or Louisiana Creole. Chris Miller, Milton Vanicor, Ellis Vanicor, Jeanette Aguillard, Mary Broussard, T-Broussard, Varise Conner, Phil Doucet, Glen Dugas, Steve Riley and others. 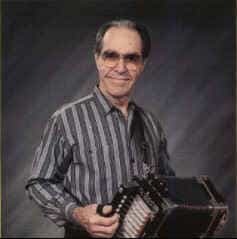 The parish is the home of the Cajun band “The Lacassine Playboys” that did much to popularize Cajun French accordion music after World War II and is still active. Jennings is also the home of two record companies that specialize in French-language music: Musique Acadienne Record Company and Lanor Records. French is taught in all the high schools of the parish including Jennings, Welsh, Lake Arthur, Hathaway, Elton and Lacassine and in many elementary and middle schools. Father Jules Daigle was the pastor at Our Lady of Seven Dolors Catholic Church in Welsh for forty-four years. After his retirement, he devoted his time to the creation of a 600 page Cajun French dictionary called, “A Dictionary of the Cajun Language.” When published in 1984, it was the first comprehensive dictionary of the Cajun French language. Father Daigle later published a textbook called, “Cajun Self-Taught. The town of Welsh is so proud of his role in the preservation of the Cajun Language that its official town slogan is “Home of the Cajun Dictionary.” This is printed on the town’s stationary. All the bayous and rivers in the parish have French names or Indian names written with French phonetics: Bayou Nezpique, Mermentau River, Bayou Grand Marais, Bayou Chene, Bayou Lacassine, Bayou Arceneaux, Calcasieu River, Bayou Serpent and the lake is Lake Arthur, named after the first settler on the lake, Arthur LeBlanc. 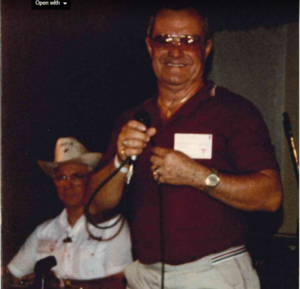 Jennings has many traditional Cajun activities such as an annual Cajun Accordion contest, an annual Cajun Fiddle contest and numerous Cajun music jam sessions. The city and parish also have many Cajun restaurants. The Grand Marais Mardis Gras run a traditional Mardi Gras chicken run on horseback throughout the parish which finishes in a parade, gumbo and Cajun dance in Jennings. The town of Elton in the north of the parish also has a traditional horseback Mardi Gras Run. The slogan on the Jennings city stationary is Cradle of Louisiana Oil/Berceau de l’Industrie Pétrolière en Louisiane and this is also on a sign at the entrance to the city. Jennings has a large welcome sign in French, “Bienvenue” and a goodbye sign “Au Revoir.” It has several roadside plaques in French, a street named “Rue de l’Acadie” and numerous streets with French names. It also has bilingual street signs in the central part of the city.